Was the Guy Who Won the Client’s Audition Better than You? This post fits loosely in the training and development category, I admit, but I think within this tale runs a thread that affects how we should look at people we are training. In this case, we are talking creative types, voice-over actors. Granted, voice-over actors need training or coaching as much as anyone. 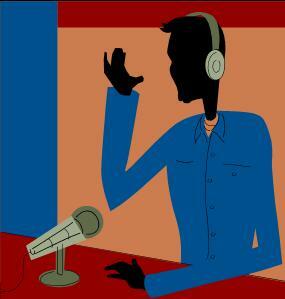 Here a case is being made that the voice-over actor who gets the job must be “Better than me. Better than you.” The point being, if you don’t get the job, you need training. My answer, and not everyone is going to like this, is sometimes. But also sometimes you do need training to improve. And, sometimes it is the answer, but it should be self-motivated or pointed out by those you trust and not necessarily the guy on the street. It's important to remember that not every opportunity that was missed was due to your own inadequacy. Is a stranger more qualified to give you feedback than someone you know? Both have advantages and disadvantages. Someone you know may be too kind; someone you don't may have another agenda. The opposing voice says, “We are reminded that human nature has always been inclined to denigrate what it cannot have.” I agree somewhat reluctantly. But let’s not denigrate the actor by telling him he’s not good enough because he didn’t get the gig; it’s more complicated than that. 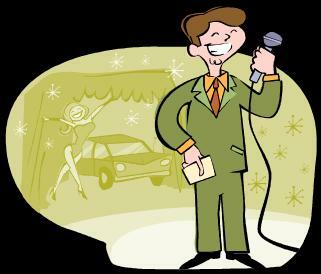 I suspect the voice-over artist espousing these words is not only a reasonable successful voice-over actor, but a coach–a trainer of voice-over actors. He is entitled to his perspective, but I think it may be colored by his business angle. I think it is often better to sell to the client who needs you rather than you to “hard” sell the client you need. I don’t agree on the basis of too many subjective factors—even Jim, the subjective professional voice-over coach and trainer. Here’s my side. If you aren’t good enough, you wouldn’t even get the audition. Better does not equate to different. Professionals will get the training and practice they need. The big moneymakers will work toward that end. Others may work to be more than they are. I want to work. If I’m good enough for the audition, I don’t need my “competition” saying I didn’t get the gig because I wasn’t good enough. If we got the audition, someone who knows us thinks we are good enough. Just because we didn't win the audition, doesn't mean we need to rush out to find someone to correct our mistakes. If we think about it, we may know the answers ourselves. Or, it could be we weren't selected because of issues totally unrelated to talent. Maybe my performance was inadequate in some way, but I’ll leave that evaluation to others, a coach, a trusted colleague to give me the advice–if I ask for it. I’m professional enough to know I was “off,” and that’s up to me to correct. There are a lot of people getting gigs, but not just because they are “better.” Some actually get gigs because a producer selected the wrong guy and didn’t want to admit the mistake. Some get the gigs because they know someone. Should I take a class or find a coach, who I don’t know but who must be better because he has an impressive website, just to feel I have improved? If I’m working, I’m proving it. I know who I am and I know my limitations. Ever hear a “bad” voice-over? I’ve heard plenty. I wondered how the guy got the job–not why I wasn’t enough for it. Sometimes the people selecting a “voice” make mistakes. I started listening to an audio book that is being read by a gentleman with deep, modulating voice that I find unappealing and so stereotypical I won’t continue listening. Let’s not talk about the fact he can’t distinguish characters very well. Somebody wanted his voice for the Michael Crichton book. Maybe they just like it deep, not best. I do like the idea of getting together with other voice-over artists (a good training idea) as Jim suggests, but it seems the really serious, experienced ones (the ones we could learn the most from) are working, always working and evaluating, not necessarily others but themselves. It’s always good to support each other; I don’t think any of us shrug off that we didn’t get the job because it is “anything but us.” On the contrary, our undeveloped talent may be one of many factors. Or, just a feeling the client had that someone else was a better company or demographic fit. Those other factors, remember? I agree there is a need for coaches and trainers just as there is a need for any communicator who wants to improve, learn tricks of the trade, be told “you do this really well, and this not so much,” and whatever else we need to know. I am one who actually tells people I may be a costly alternative at this point when they may be more in need of the basics more cheaply delivered by someone else. I’m not independently wealthy, but I like to think I take clients I can really help rather those in need of some basic acting classes who are going to resent me later for charging so much for what they could have had at a community college. Here’s the best way to help me, the voice-over actor: get me the job, help me with the interpretation and delivery, and assure me the client is going to like it. It comes back to the basics. It’s not a marketing game of who can get the most clients. I prefer client loyalty myself, and client recommendations because I was fair, honest–and good. Professionals of any kind know when they need help, but it’s a fit like anything else. We all do better when clients trust us. End of tale.